Until this modern take of Keynesian economics is no longer pushed as the standard of financial “wisdom”, debt-fueled economies will continue to relive these progressively worse economic cycles, with every bubble burst being much worse than the last. 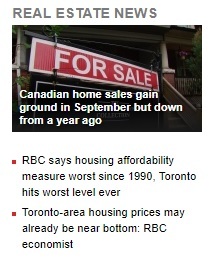 When an article was released by the Canadian Press last Wednesday advising us plebs what to do in the face of a meagre 0.25% rise in interest rates, one has to wonder how bad the economic situation really is in Canada under the debt-driven facade. The last couple of interest rate hikes in the U.S. had an unusual short-term effect on the stock market — the markets went up on both the rumour and the news. Four in ten (43%) say they are concerned about the impact of rising interest rates on their financial situation, and nearly three in ten (28%) expressed concern that rising interest rates could move them towards bankruptcy.